This officially licensed Doctor Who Rubber Wristband is the perfect accessory for any Whovian! It features an image of a Dalek colored like the British flag with the words, 'Dalek British Invasion.' 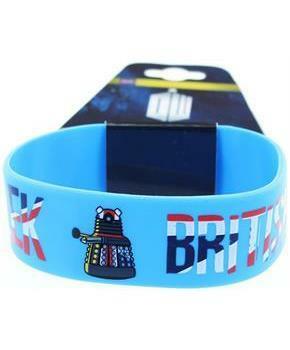 Get the other wristbands and see how many of your favorite Doctor Who slogans and motifs you can collect! This officially licensed Doctor Who Rubber Wristband is the perfect accessory for any Whovian! 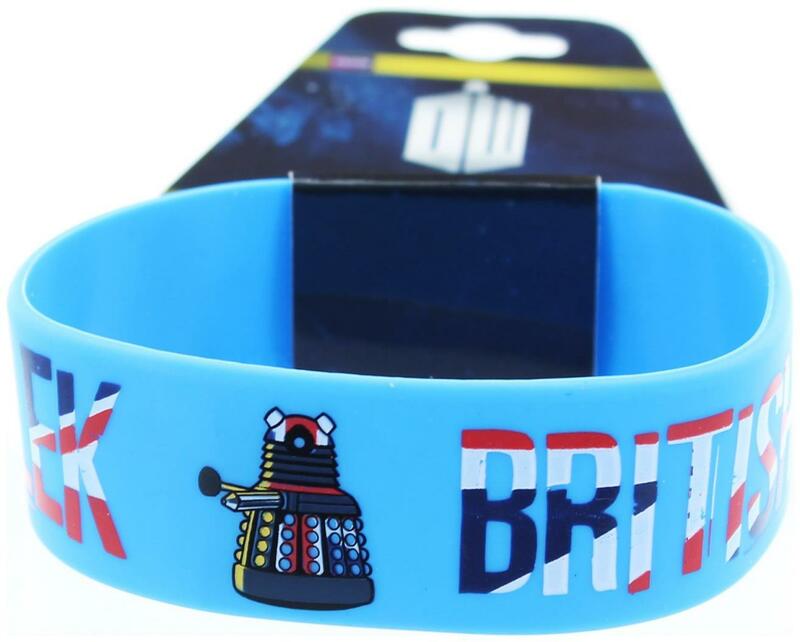 Get the other wristbands and see how many of your favorite Doctor Who slogans and motifs you can collect!